Are you looking for Summer employment? Many lodges and business in Ontario's Sunset Country open seasonally from late Spring to Fall and are often looking for workers. Here's a list of some of the lodges in Northwest Ontario looking for employees in 2018. 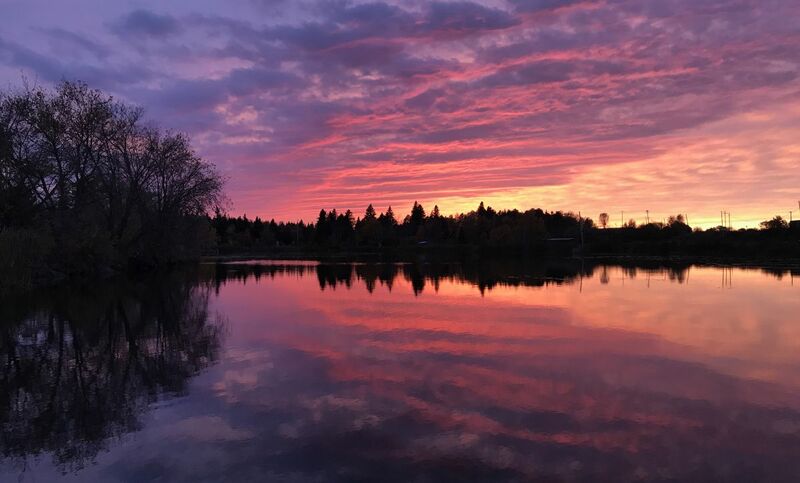 Sunset Country has 70,000 lakes and rivers and encompasses the northwest corner of Ontario - from the Manitoba border to Thunder Bay and everything north of Minnesota. It makes for a perfect setting to work in! Please directly apply to the businesses how they have requested. Sunset Country Travel Association is not doing any of the hirings for these positions. Short Description of job: Prepare meals for fishing & hunting patrons as well as Old Pilot's Pub walk-ins. Must have previous professional experience. How to apply: Email smithcamps@bell.net with the subject line "Chef." Short description of job: Guide guests to fishing spots from 7:00 am to 5:00 pm Clean and freeze fish for guests. Other duties that go along with guiding. Need fishing license, boaters license and good camping stove for shore lunches if there is a fire restriction. Wage: $175.00 per day for two people and 10.00 for each additional person. How to apply: Call Moosehorn Lodge at 1-800-682-6123 or email me at info@canadafish.com. Short description of job: Customer service on the dock, dock maintenance including cleaning and preparation of boats, filling gas cans, general camp maintenance including lawn care. Training included, commitment expected. Deliver exceptional standard of customer service to guests. Must be adaptable to remote living as well as compatible to team work and living. Wage: $14.00 / hr weekly, your share of tip pool weekly, eligible for season end bonus and accommodations included at no charge. How to apply: Send resume to: fireside.alan@xplornet.com or phone: 807-737-1919. Short description of job: Dining room server, cabin cleaning, dishes, general housekeeping. Training included, commitment expected. Deliver exceptional standard of customer service to guests. Must be adaptable to remote living as well as compatible to team work and living. Short description of job: Maintain organization of daily fishing activities, initiate client relationships, provide insight with expertise per fishing locations and techniques, exemplify professional leadership, and adherence to expectations in regard to: Ontario Payroll Regulations, tardiness, profanity, consumption of alcohol, boating and or fishing regulations. The majority of the fishing days will run in periods of (3-6) consecutive days. The “off” days of fishing, the individual guide must be available per the chance a group chooses to extend their number of days fishing with guide service. The "off" days of fishing, the individual guide must also be available for miscellaneous camp work. With seven or more days advance notice the guide is expected to be available for any and all dates requested for guided fishing services. Wage: $175.00 to $200.00 /day based on experience plus tips. Room and Board negotiable. How many years of fishing guide experience do you have? Do you have the following license or certification: Ontario Boater Safety? Short description of job: Cook for fishing & hunting lodge with dining room and sports bar. Must have previous professional experience. Wage: Great semi-monthly pay, a portion of tips, free private room & meals, free internet, laundry on site, year-end bonus. How to apply: Send a resume to lecuyer@earthlink.net. Short description of job: Bartend and wait on tables for fishing & hunting lodge with dining room and sports bar. Short description of job: Looking preferably for a mature couple to look after our 10 guest remote fly-in camp for the summer. You will have your own accommodations, wifi, satellite tv and cell phones work at this location. Must be able to do some minor repairs if necessary. Wage: Negotiable on experience etc. Short description of job: Cleaning. Wage: $15.00-$17.00 depending on experience. Short description of job: General Yard maintenance. Short description of job: All duties in the lodge area. Short description of job: Variety of duties. Wage: $18.00-$20.00 depending on experience. Short description of job: Providing elite customer experience, daily facility maintenance, daily boat maintenance, assisting the manager in day to day operations. Wage: $15 per hour, approx. 50 hrs per week, room and board provided. How to apply: Email camp@lakestjoseph.com. Short description of job: Help with day to day operation of running a Canoe & Fishing Outfitter business. Wage: Minimum and includes accommodations. How to apply: Email: info@wabakimi.com or phone 807-583-2626 ask for Bert. Short description of job: Loading and unloading aircraft. Assisting guests with their gear. Maintaining outpost camps. (grass cutting, cutting wood, testing outboard motors). How to apply: Please email resumes to amikoutposts@gmail.com. Wage: $15 per hour. 6-7 hour days. Willing to help with gasoline costs. How to apply: Email resume and references to Steve and Debbie Vincent at younglake@lincsat.com. Position: Various positions available. Please click on the positions below to find more about it. How to apply: Send resume by email to crissy@totemresorts.com. Short description of job: Cook required to work full-time for the season. Duties will include preparing breakfast and dinner for guests in the dining room, preparing packed lunches, and maintaining a clean kitchen. Wage: Competitive salary based on experience and includes room & board. How to apply: To apply, please send a complete resume including work references and cover letter to fish@rosscamp.com. Short description of job: Full-time Housekeeping position will include cabin cleaning, laundry, keeping the dining room clean, and maintaining an organized linen room. Short description of job: Must be able to work in an organized fashion and as a team partner. Tasks - to thoroughly clean cabins, cabin decks, etc in a timely manner. Friendly attitude towards guests & their needs is a must. Must be willing to use a UTV around camp. Wage: $14 an hour or more depending on work effort & experience; daily hours will vary. Short description of job: Must be able to work in an organized fashion and as a team partner. Tasks - to maintain boats & resort yard etc in a respectable looking manner; fuel boats, bear baiting, possible guiding. Friendly attitude towards guests & their needs is a must. Must be able to drive an ATV with trailer. Must have Boating Card and a valid driver's license. Wage: $14 an hour or more depending on work effort & experience; will pay extra for guiding fishermen. Daily hours will vary, so may be a salaried wage. Short description of job: Cottage cleaning & occasional serving at a remote, modern, fly in island resort. This is a full-time seasonal position. Wage: $140.00 per day + Vacation Pay + Gratuities. Room & Board is included. Short description of job: Taking folks out for a beautiful day of fishing & cooking delicious shore lunches on the shore. This is a full-time seasonal position. Wage: $145.00 per day + Vacation Pay + Gratuities. Room & Board is included. Short description of job: Main duties will include cooking for the staff of around 8, preparing food for our weekly cookout and cleaning cabins as needed. Personal transportation to and from camp daily will be necessary. Wage: $150/day Tuesday-Saturday and will have Sunday and Monday off. Hours are Tues - Fri 9am to 7pm, Sat 7am-3pm. How to apply: Email a resume Devon Denzler. Short description of job: Store clerk, cabin cleaning, laundry duties, odd jobs and occasional helping with American Plan. How to apply: Email a resume with references to: labelles@xplornet.com. Short description of job: Serves food to guests that are already prepared in AM and the evening meal, helps with dishes and does housekeeping in the cabins.The employee should be energetic, in good health and good with people. Wage: Wage is negotiable starts at $114.00 a day that is with room and board. PLUS TIPS. Prefer to have a couple doing the Housekeep/Server and the Dockhand positions. Short description of job: Knows how to clean fish, run a boat, light maintenance and carpentry, as well as keeping up the yard. Wage: Starting wage at $114.00 a day with room and board plus tips. Prefer to have a couple doing the Housekeep/Server and the Dockhand positions. How to apply: Email resume to fish@fletcherlake.com or call 218-689-5174. Short description of job: Marina attendant: looking after the rental boats and docks maintenance, fueling rental boats and private boats, fish cleaning skills, customer service skills a definite must, guest services. How to apply: info@tomahawkresort.com or fax 807-226-5563. The Lake of the Woods Brewing Company and the Broken Paddle have several jobs opening up. View them here. The Boreal Forest School in Kenora is looking for staff for a six-week summer contract. They have posted the job on Facebook. Good luck in your job hunt, Sunset Country is one of the most beautiful places you could ever work! I love being on the lake, whether it's boating, fishing, paddleboarding or exploring new parts of the lake, I feel at peace out cruising the waters in Sunset Country. Since 1999 I have worked in varying capacities at the Sunset Country Travel Association. Through my articles, I hope to entice you to visit the wonderful region I call home. 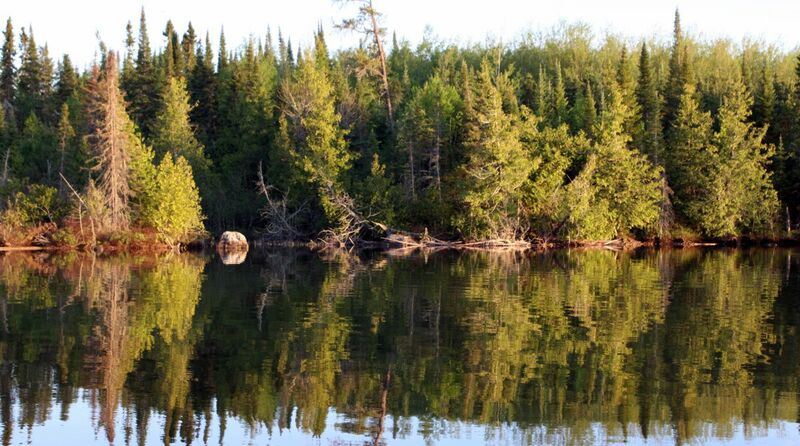 We are all about outdoor adventure; with 70,000 lakes and rivers and a whole lot of forests how can we not be? Whether you like to fish, hunt, canoe, kayak, boat or go camping, Sunset Country has something for you. Enjoy!